Ho oponopono is just 1 minute from the beach an 8 minutes of walking from downtown. so you can to explore the region and enjoy the pool, when you are tired of going to the beach every day. The Region has much to offer, beaches, waterfalls, Outdoor gym and much more. We have San Antonio Hill (Santo Antonio Hill), Rio-Santos highway, towards Ubatuba. With 325 meters high, the hill offers a privileged view of the entire waterfront of Caraguatatuba and Sao Sebastiao, in addition to much of Ilhabela. There is a flight deck for Those jumping and hang gliding and paragliding. (near the host). On the coast of Sao Paulo, in Caraguatatuba, only 176 kilometers from Sao Paulo. 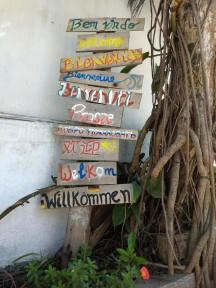 Is a hooponopono hostel, a place to relax and get all new energies. There are many restaurants, supermarkets, bakeries, shops, banks and drugstores around. 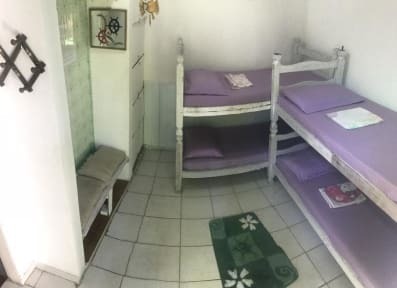 Every day we offer breakfast inclusive, commune places to see TV, kitchen to make your own meals and save your money, a mini bar, pool and a barbecue space if you want to live the experience of the Brazilian 'churrasco'.